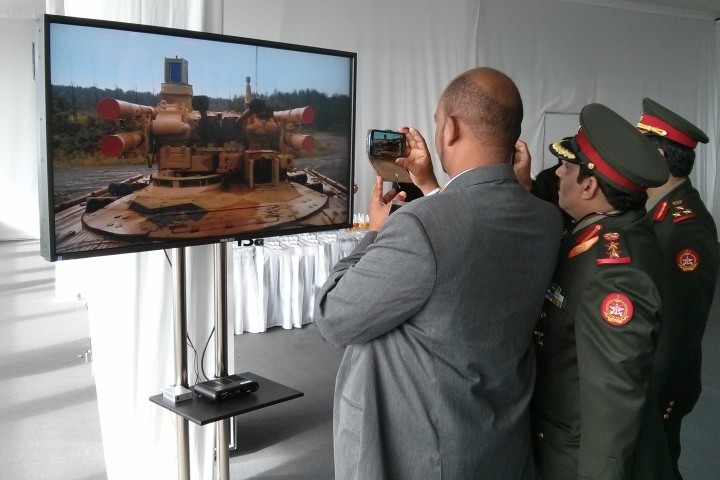 Nizhny Tagil hosted the Russia Arms Expo 2013 at the end of September. The real shooting ground nearby allowed to shoot from various weapons including aircraft weapons and the Smerch Multiple Rocket Launch System. 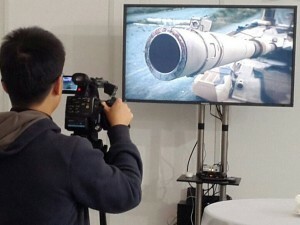 The “UralVagonZavod” scientific-production association, general organizer of the exhibition, engaged a Moscow team of cameramen led by Yuriy Gusakov (director and producer of the project) to organize 3D broadcasting of the military show. The Triaxes company provided equipment and technical support for the glasses-free 3D broadcasting: the video content was shown on autostereoscopic 3D displays so the audience didn’t have to wear glasses to watch the show from tribunes and in the exhibition halls. Six 3D cameras were placed on the shooting ground. 3D video content from the cameras went to the production desk and then was sent in the side-by-side format both to the compressor enabling live broadcasting and 3D converter transforming it into the 2D+Z format for autostereoscopic 3D displays. 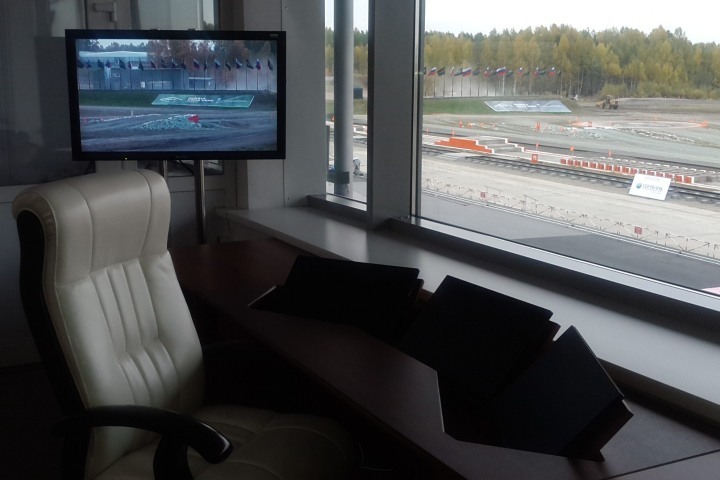 3D displays were placed in the VIP-tribune, in the hall of UralVagonZavod and in the press centre. Military equipment demonstration took 2 hours every day. During that time the audience could watch the shooting ground in 3D in the real-time mode. For the rest of the time 3D videos composed from the footage demonstrating the newest Т-90СМ tank and BMPT “Terminator” were shown. Glasses-free 3D broadcasting became possible thanks to Triaxes 3D converters that used the source stereo pair and calculated a depth map (Z value in the 2D+Z format containing information about object distances). Z information is additional and the viewer doesn’t see it. 3D displays use this information to create the 3D effect. Z is calculated in the real time with the help of the 3D converter developed by Triaxes. The converter is operated by the Elecard CodecWorks Manager. Videos shown between demonstrations were converted to the 2D+Z format in Triaxes DepthGate and were played with the help of the 3D modification of the Elecard iTelec STB 840. “The joint project being mentioned is awarded with the Nikola Tesla medal for the “Best Invention” at the international exhibition of innovations and inventions ITEX-2012, with the golden medal of IENA-2011 and so on. We are glad this new technology has found customers in Russia. Thanks to professionalism of cameramen, specialists from Moscow and well coordinated work of the Triaxes team, the whole show went off without a hitch. I would aslo like to note the high-level of organization here: the personnel of the UralVagonZavod works as one team, the design and equipment of the exhibition area are really great, and the army men working at the shooting ground are real professionals. All this helped to create a high-tech and memorable show of high quality”. Here’s a fragment of 3D broadcasting in the side-by-side format. You can use your regular display and anaglyph glasses to see the 3D effect.